Immigrants in this class include: spouse; common-law partner or conjugal partner; dependent children; parents and grandparents; children under 18 years old whom the sponsor intends to adopt in Canada; children who the sponsor is a guardian; brothers, sisters; nephews; nieces; and grandchildren who are orphans under the age of 18; and any other relative, if the sponsor has no relative as described above, either abroad or in Canada. First step is that the sponsor (who is either a Canadian citizen or permanent resident) needs to be approved to be an eligible sponsor. Step two is that the Application for Permanent Residency is completed for the family member(s) wanting to reunite with their family in Canada. If you desire to sponsor your parent or grandparent please be aware that the Canadian Government has capped the amount of applicants for this program to 10,000 per year. Canada has been working very hard to ensure that families are reunited in a timely fashion, and has been working on decreasing wait times. If you want to start the process of bringing your family to Canada, Contact us and start the process. 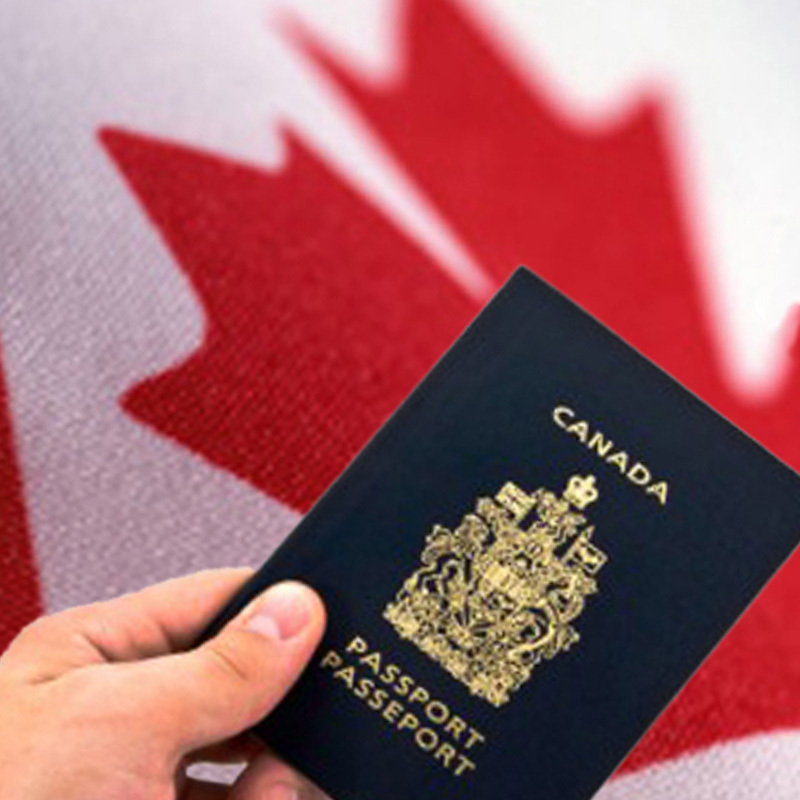 Do you think you have met all the residency and language requirements to apply for Canadian Citizenship? Do you need assistance preparing for your Citizenship Test, or have you already taken your Citizenship Test? Contact us and we can assist you with all the questions you have about obtaining Canadian Citizenship and whether you are eligible to apply. We will complete all the necessary documentation required on your behalf, which takes the stress off you. Do you have experience and a passion for working with children, seniors, or individuals with high medical needs? 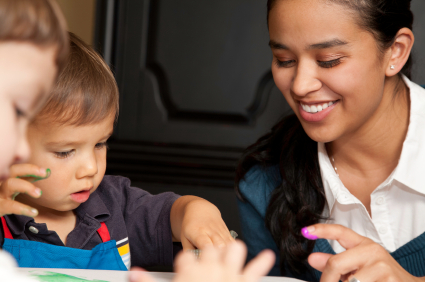 Do you have a job offer to be a Nanny in Canada, for a family? The Caregiver Program in Canada may be an option for you. To be eligible for these new pathways, a caregiver must live in the home of the employer, and work in Canada with a valid work permit in an eligible occupation for 2 years, as well as meet the required language and education requirements. Complete our online assessment form Free Online Assessment and we can determine whether this pathway to Canada is ideal for you. Even if you do not have a current job offer, we can assist you to find an employer who has an approved positive Labour Market Impact Assessment (LMIA) from the Canadian Government. To increase the likelihood of your profile being invited to apply for permanent residency, Contact us and we can advise you on what you need to address on your online profile. 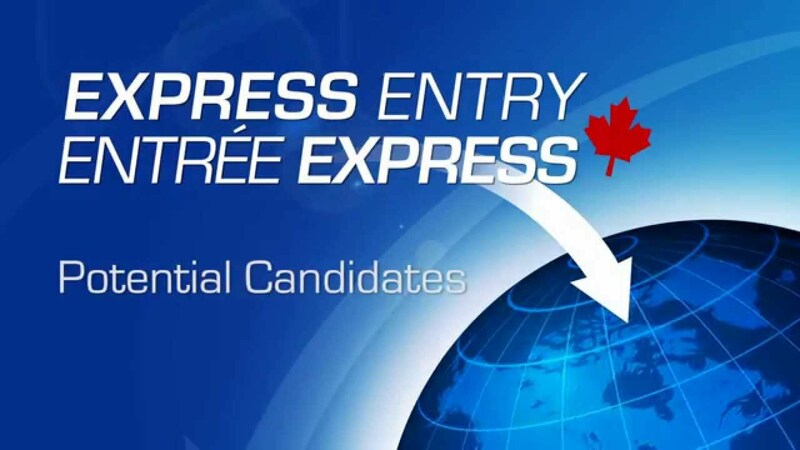 Candidates within the Express Entry stream are ranked based on their language skills, ability to adapt to the Canadian lifestyle, education as well as age and any Canadian experience the candidate may have. Applicants will receive additional points if they receive a job offer from a Canadian employer or are nominated as a highly skilled applicant by a Canadian province or territory. Are you ready to Apply for Express Entry? Click here and complete our Free Online Assessment . Do you have a desire to study in Canada, but don’t know which school to attend? Did you receive acceptance to a Canadian Educational Institution and do not understand what type of visa you need to study in Canada? If you are a foreign national and want to study at a Canadian Educational Institution, you are required to have a study permit. In some cases you may not need a study visa if your program is less than 6 months in length, but having a study permit upon arrival to Canada gives you more options and flexibility once you arrive in this beautiful country. Archway Immigration & Consulting Services can assist you through the entire process of determining which school and program is an ideal fit for your needs, helping you get admitted to your school of choice, right through assisting you with housing upon your arrival to Canada – including airport pick up. In order to be eligible for a study permit in Canada, you must be accepted to a designated educational institution in Canada. You also need to prove to the Immigration, Refugees and Citizenship Canada (IRCC) that you have enough money to pay for all your educational cost as well as money to financially support yourself while you are studying in Canada. If your parents will be financially supporting you while you are studying in Canada, you will need to provide documentation of that financial support. Depending on your program and length of studies you may also be eligible to work part time off campus during your studies in Canada and gain valuable Canadian work experience. If you are ready to start the process of attending school in Canada, or you still have some questions about the process and the opportunities available for international students, Contact us to see how we can help you. Do you want to expand your current business to Canada? Have you ever thought of starting a business or purchasing an existing business in Canada? Did you know that Canada is the best economy in the G20 for expats? Business immigrants become permanent residents on the basis of their ability to become economically established in Canada. As a business immigrant, your dependent children and spouse or common-law partner, can come to Canada with you and be included in your business class application. Applicants are selected for this program on the condition that they can and intend to create their own employment in Canada and they will contribute significantly to the Canadian economy or to the cultural or athletic life of Canada. Applicants must have relevant experience within the five-year period immediately preceding the date of application. If your intention is to purchase a farm in Canada, you must have at minimum 2 years of farm management experience. Applicants will be assessed on several criteria, including language skills (in English or French), age, education, experience and their ability to adapt with ease to the Canadian way of living. Part of the process of obtaining a start-up visa is that you must obtain financial support from a designated angel investor or a venture capital fund to invest in your business idea. If you are admitted to a business incubator there is no financial requirement for an investor to promise to pledge funds for your business idea. If the investor organization (angel investor and/or venture capital fund) decides to fund your business idea, they will give you a letter of support. Your letter of support must be included with your application as proof that an angel investor group and/or venture capital fund supports your business idea. Each organization has different requirements in terms of what documents (for example, a business plan) they require in order to consider investing in a business idea. You must secure a minimum investment of $200,000 if the investment comes from a designated Canadian venture capital fund, or a minimum investment of $75,000 if the investment comes from a designated Canadian angel investor group. You must meet minimum language requirements of CLB (Canadian Language Benchmark) 5 in either French or English for all 4 language abilities, to illustrate that you can communicate and work in either language, which will help your business in Canada. If minimum language skills are not met, your application will be refused. As an applicant for the Federal Start-Up Visa you must also prove to the Government of Canada that you have enough settlement money to support yourself and your dependents after you arrive in Canada, which cannot be borrowed funds from another person. The amount of settlement funds you are required to prove will depend on your family size, and is updated by the Government of Canada on an annual basis. The benefits of the Start-Up Visa Program, is that it enables immigrant entrepreneurs to create jobs in Canada, and maybe eventually compete globally, by launching innovative companies. This program provides entrepreneurs with valuable assistance in navigating the sometimes complex and highly regulated Canadian business environment. Private investors also will have access to a larger pool of entrepreneurs, which will include some of the best innovative minds from around the world. So not only does the newcomer benefit from the program, but investors and Canada benefit from the innovative collaboration this program creates. We are always eager to hear from highly skilled and experienced educational agents from around the world, who have strong networks in their communities as well as contacts with various educational institutions. If you are looking to work with a new partner, Contact us and we can evaluate whether an opening is available in your established target market. Are you having trouble filling a vacancy in your company? Do you have the need for a highly skilled temporary worker, but have yet to apply for a Labour Market Impact Assessment? If you answered yes to the above questions, contact us (link to contact page) and we can assist you with the process of obtaining a positive Labour Market Impact Assessment from the Employment and Social Development Canada (ESDC). To qualify to hire temporary foreign workers, employers need to prove that there are no Canadian or permanent resident workers available to perform the duties of the job they are seeking to fill, which is why you require a positive LMIA to hire a foreign worker. Most work permanents with a positive LMIA is issued for one year. Employment and Social Development Canada oversees and processes LMIAs which comes with an application fee of $1,000 for each temporary foreign worker position seeking approval for. We can assist with all the entire process from applying for the LMIA through processing the immigration documents for your new hire. Contact us (link to the contact us form), with your LMIA needs and we will work together to prepare a detailed road map to fill your temporary and high needs positions. We are a boutique Immigration & Consulting company, that offers a variety of immigration services to our clients, from assistance seeking business opportunities in Canada, completing all of your Canadian Immigration documents – while acting as an advocate for you with the Immigration, Refugees and Citizenship Canada (IRCC) until a decision on your application has been made, we also provide settlement services to assist you with an easier transition to your new life in Canada. Canada has more than 60 different immigration programs. Contact us now and we can evaluate which program will be best suited for your personal situation.